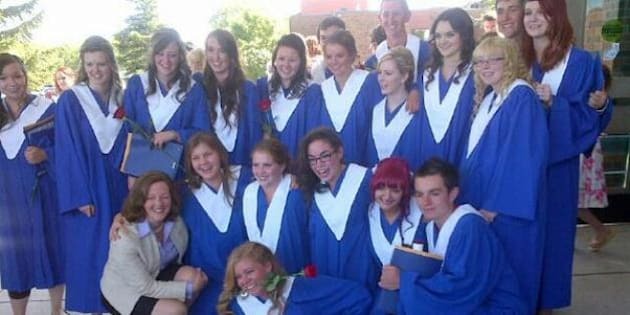 The outgoing Grade 12 class at High River’s Highwood High School is finally having a graduation ceremony roughly two months after the flood disaster put their celebration on hold. The community was hit hard by floodwaters just days before the event was supposed to take place. The group is holding its rescheduled ceremony at Strathcona-Tweedsmuir School in in nearby Okotoks Thursday afternoon. The space was donated. Class valedictorian Brett Mulholland said it&apos;s been a long time coming. Many of the grads who lost their possessions in the flood will be wearing dresses and tuxes donated by people from all over the country.